Sturdy and simple, but reliable. Metal. Sturdy and simple, but reliable. Plastic. 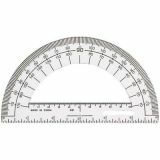 This 180 protractor has an accurate 6" ruler located at the base, plus a metric scale. 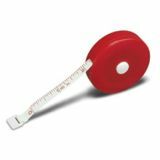 Sharply defined graduated degrees are black and bonded in clear plastic. Ball bearing control creates accurate circles up to 12" diameter. Complete with pencil, inch and centimeter guide. Shortened safety point and positive pencil lock. 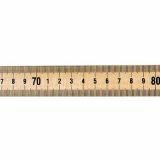 This clear-coated wooden meter stick has easy-to-read black markings. 1/8" scale on one side and metric (mm) scale on the other side. Sticks measure exactly one meter long and is 7mm thick.